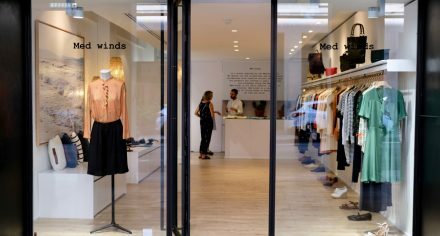 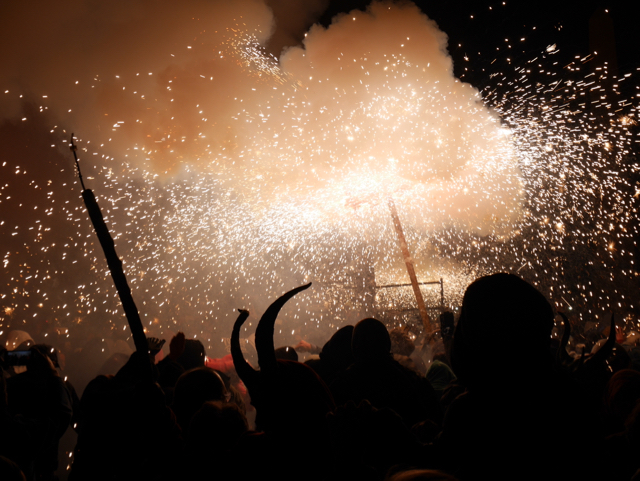 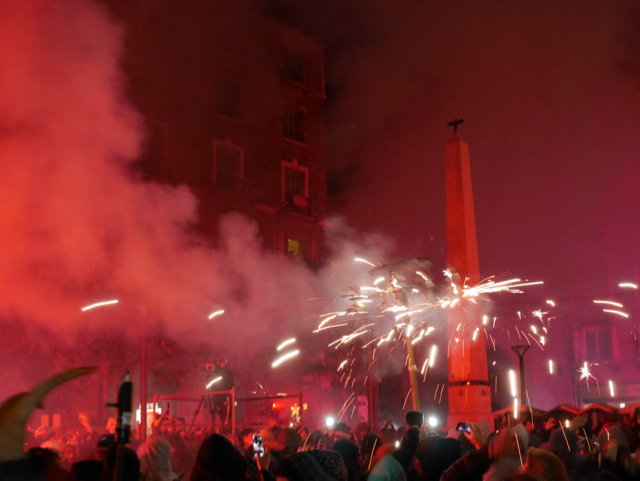 Imagine people dancing on the street under umbrellas of sparks around midnight, heavy smoke in the air, fire crackers thundering down Jaume III and the steady rhythm of drums. 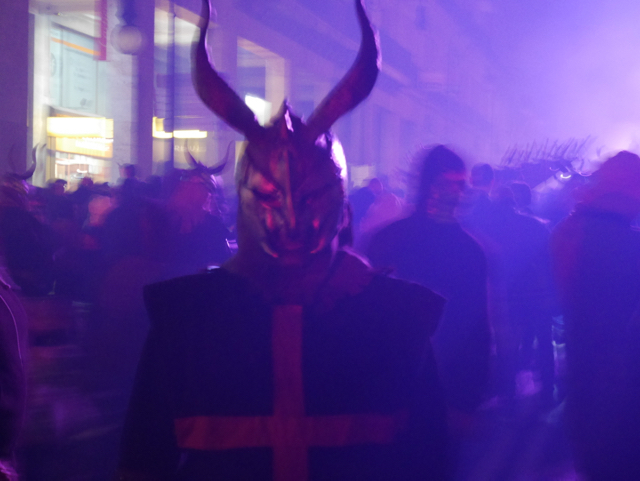 Now, add hundreds of devils spooking bystanders, poking fun at girls and scaring the children who follow the spectacle with a mix of awe and joy. 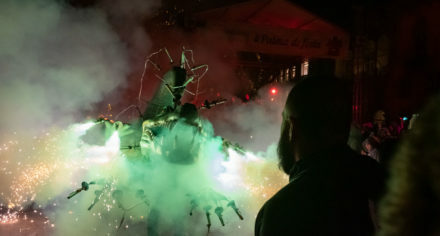 Yes, we are celebrating Sant Sebastià and the Correfoc (fire run) is on its way from Santa Catalina to Plaça de la Reina, turning the shopping area into a medieval scenery where evil ghosts are exorcized by naughty lucifers. 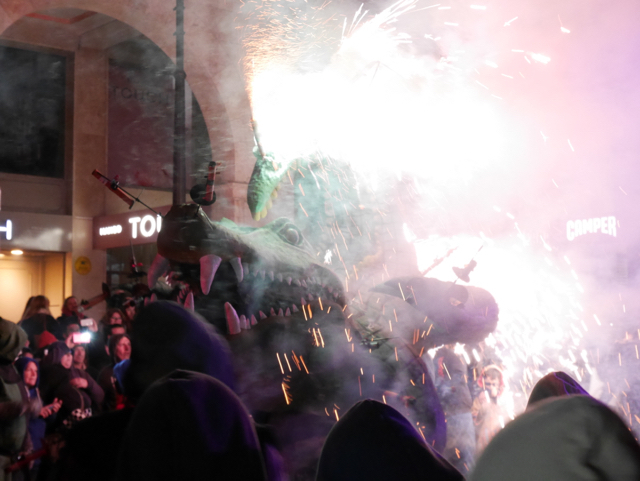 All under the patronage of el murciélago, Palmas heraldic animal who is also the mascot and logo of this blog. 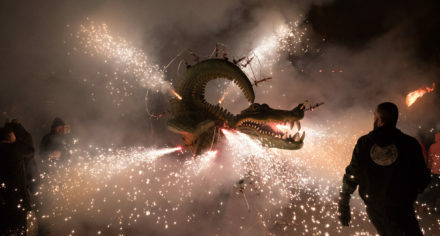 No wonder, I feel so connected to this festivity and all the people celebrating.